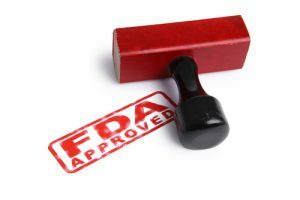 Exondys 51 (eteplirsen), the first approved treatment designed to target the underlying cause of Duchenne muscular dystrophy (DMD), was approved by the FDA on Sept. 19, 2016. The drug is marketed by Sarepta Therapeutics. Exondys 51 is an exon-skipping drug that was granted FDA fast track designation, priority review, and orphan drug designation before it was approved for use. It treats DMD patients with a confirmed mutation of the dystrophin gene amenable to exon 51 skipping, which represents about 13 percent of the DMD patient population. The underlying cause of DMD is an error in the gene for dystrophin, an essential protein involved in the muscle function. Exondys 51 can potentially lessen the severe muscle weakness and atrophy caused by this mutation. Exon skipping is a treatment approach for specific genetic mutations that can restore production of the dystrophin protein. Dystrophin synthesis involves the transcription of DNA into RNA, and the translation of RNA into protein by the cellular machinery. RNA is made of exons, and each exon codes for a set of amino acids. Amino acids are the building blocks of proteins. Some genetic mutations in DMD involve the deletion of exons. In some of these cases, the remaining exons become “out-of-frame,” interrupting the correct translation of the genetic code into protein. People with these mutations typically produce little or no functional dystrophin. Exon skipping means to skip over an exon in the RNA to realign the remaining exons, making them “in-frame.” By restoring the reading frames, the cellular machinery will be able to translate the RNA into a functional but shorter form of dystrophin. This therapeutic approach is designed to address the underlying cause of DMD by promoting the synthesis of a shorter or truncated dystrophin protein, and may stabilize or slow the disease process. Data from clinical studies of eteplirsen in a small number of people with DMD have demonstrated a consistent safety and tolerability profile. The pivotal trials were not designed to evaluate long-term safety, and a clinical benefit of Exondys 51 has not been established. Exondys 51 was evaluated in three clinical studies in people who have a confirmed mutation of the DMD gene that is amenable to exon 51 skipping. In the first study, 12 male participants were randomized to receive weekly infusions of Exondys 51 or a placebo over 24 weeks. The primary endpoint was dystrophin production, and a clinical outcome measure (the 6-minute walk test) was also assessed. There was no significant difference in change in the walking test between the group treated with Exondys 51 and the placebo. All the participants from the first study continued to an open-label study with weekly Exondys 51 over four years and compared to a control group. The study failed to provide evidence of a clinical benefit of Exondys 51 compared to the external control group. As there is no sufficient information on dystrophin levels before the first study, it is not possible to estimate dystrophin production in response to Exondys 51 in the first study. The third study treated 13 DMD patients in an open-label trial over 48 weeks. Participants had a muscle biopsy conducted both before and after treatment. The median increase was 0.1 percent after 48 weeks. The most common adverse reactions were balance disorders and vomiting. There have also been reports of transient erythema, facial flushing, and elevated temperature in DMD patients on the days of infusion4. To learn more about past and current clinical trials, review the clinical trials for Exondys 51. Exondys 51 was approved by the FDA through its accelerated approval pathway, which allows experimental therapies to gain FDA approval when a therapy shows promise of a “meaningful advantage over existing treatments.” In the case of Sarepta Therapeutics’ Exondys 51, since there were no prior approved therapies for DMD, the drug’s preliminary efficacy results in trials, while marginal, offers improvement over standard disease management for DMD. However, the clear clinical benefit of Exondys 51 has not been established, so the continued FDA approval for this indication may be contingent upon verification of a clinical benefit in confirmatory randomized trials, which will continue over the next two years. The required study is designed to assess the improvement of the motor function in people with DMD with a confirmed mutation of the dystrophin gene compliant to exon 51 skipping. If the trial fails to verify the clinical benefits, the FDA may initiate proceedings to withdraw approval of the drug. Muscular Dystrophy News is strictly a news and information website about the disease. It does not provide medical advice, diagnosis, or treatment. This content is not intended to be a substitute for professional medical advice, diagnosis, or treatment. Always seek the advice of your physician or other qualified health provider with any questions you may have regarding a medical condition. Never disregard professional medical advice or delay in seeking it because of something you have read on this website.